In crayfish that are preparing to molt, you will find two structures in the gastric stomach called gastroliths. These are literally stashes of chiten (shell building material made of calcium carbonate) that the crayfish calls upon after it sheds it shell. During the molting process the old shell is cast off, strong juices flood the muscular stomach and break down the gastroliths dispersing the calcium carbonate to the body for building back the crayfish's shell. Only fresh-water invertebrates need gastroliths because calcium carbonate is not as readily available in fresh water as it is in sea water. 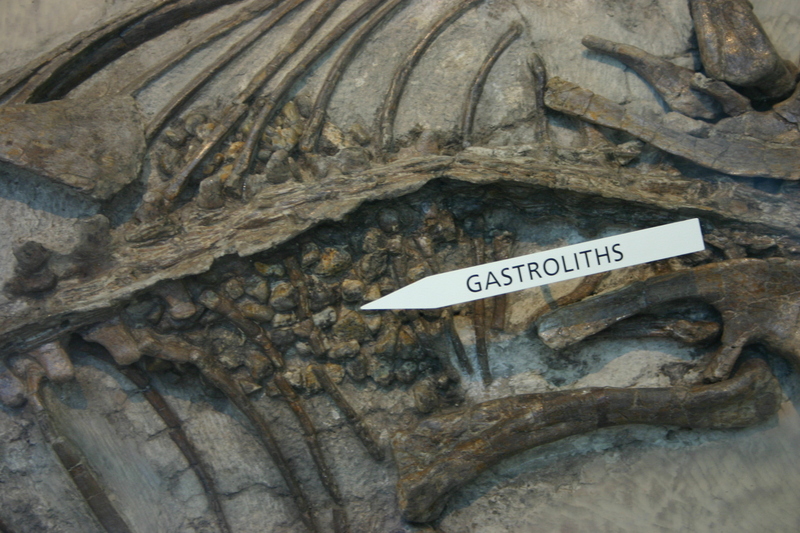 (NOTE: the gastroliths in dinosaurs were rocks used for digestion, much like birds, but the gastroliths in crustaceans are for exoskeleton development and not solely for digestion). These are gastroliths from a dinosaur, which were actually rocks used for digestion (rolling food around). 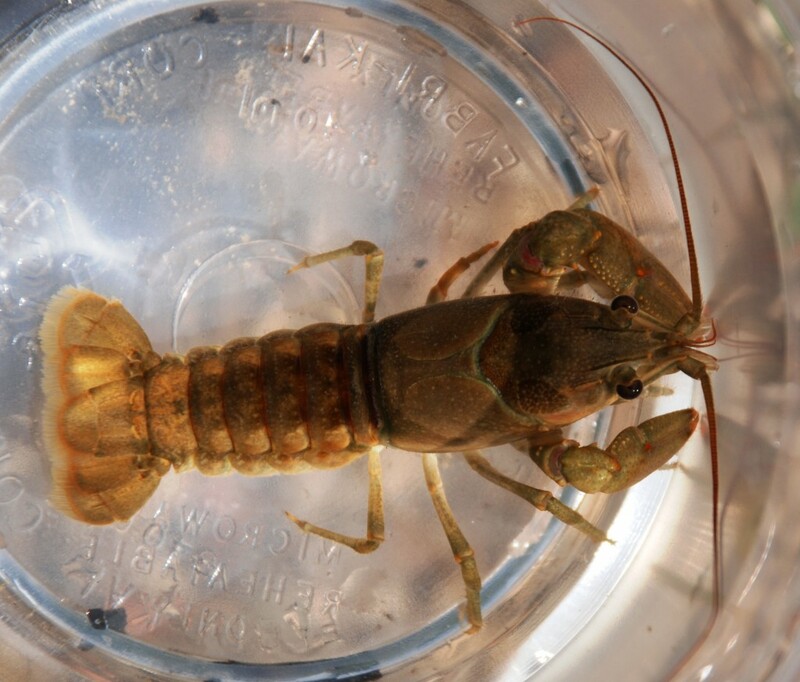 Crayfish have gastroliths for storing up calcium carbonate for molting their shell (Photo: Wiki Commons). I can tell you, it's quite disconcerting for first year biology students to open up a crayfish and find teeth in the stomach! They often ask if the crayfish swallowed a fish or animal with teeth. These teeth are strange, but they play a very important evolutionary role in processing food. If you get a piece of food stuck in your teeth, just think how it must feel to a crayfish. I can only imagine the belly-dancing moves they would have to make to get the food unstuck...and flossing is quite out of the question!